All the fun of the fair at your event with our fantastic Candy Floss Machine. A great addition for PTA or school events, children's parties,weddings, christenings, corporate events,carnivals, galas, fetes and community events as people of all ages love the taste! The price includes the machine and unlimited portions for the hire period. We are able to provide staff to operate and supervise the machine and serve your guests. Please select this option when booking. 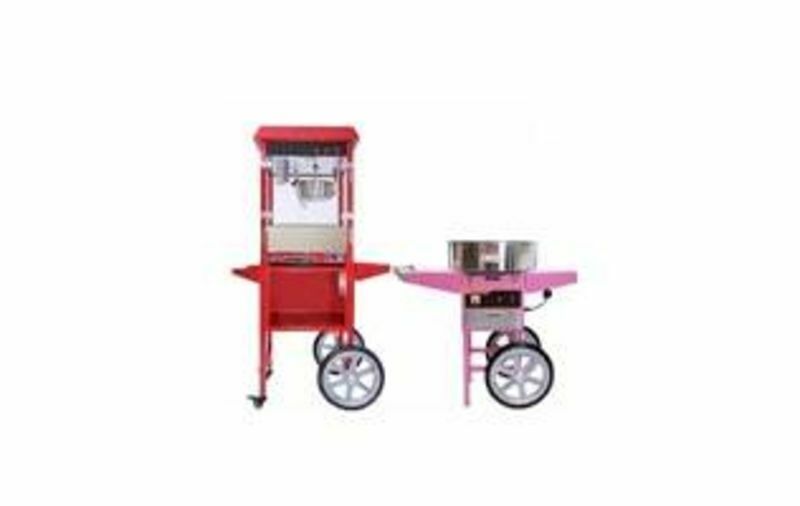 Our Candy Floss machine is available to hire in Burton on Trent, Swadlincote, Derby, Uttoxeter, Ashbourne and all surrounding areas. Power required: 1 x 13 amp socket. All the fun of the fair at your event with our fantastic Popcorn Machine. A great addition for PTA or school events, children's parties,weddings, christenings, corporate events,carnivals, galas, fetes and community events as people of all ages love the taste! Our Popcorn machine is available to hire in Burton on Trent, Swadlincote, Derby, Uttoxeter, Ashbourne and all surrounding areas. For larger bookings we can travel outside of these areas. Please contact us for a quote.